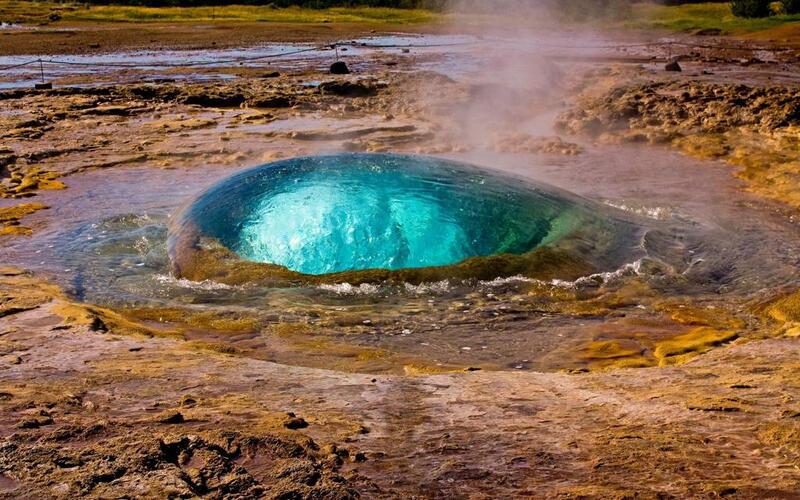 Geysir, sometimes known as The Great Geysir, is a geyser or a hot spring in southwestern Iceland. It is located in Haukadalur valley next to another geyser named Strokkur, which is one of the most popular attraction in Iceland. Geysir is the geyser that the English word is derived from. It has been active for over 10,000 years but for the last century it has been more or less silent, without the aid from humans. Last week, 20th February 2016, it erupted again without aid of humans. Halldora Eldon who is working for Hotel Geysir, says in an interview with Visir newspaper, that it’s the first time she sees the geyser sputing. She says that some activity has been noticed by other employees at the hotel last summer early in morning. 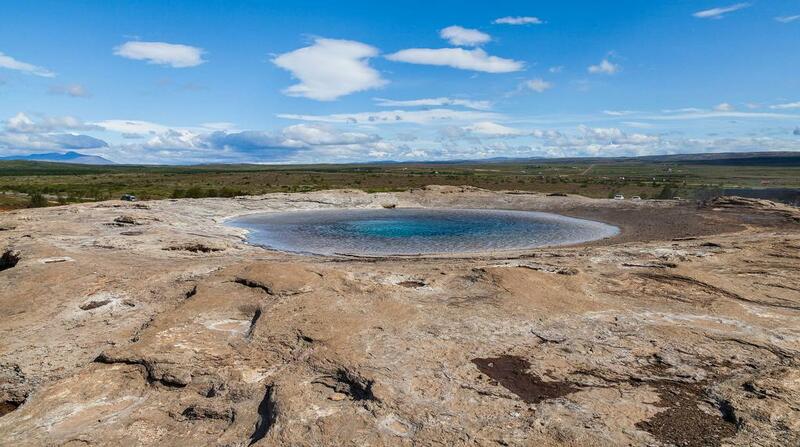 Geysir is idle most of the time. The column that rose from the hot spring was not very tall though, only about 10 meters. That’s nothing to what Geysir used to do back in the days. 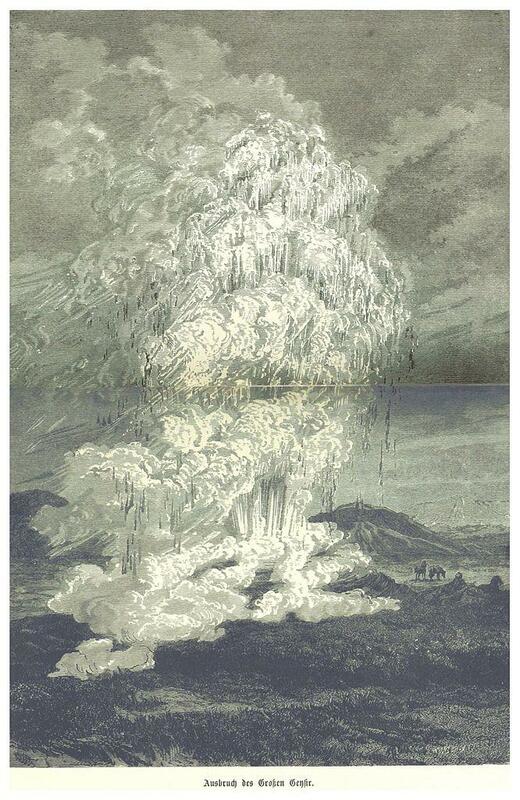 In the year 1845 its spouting hot spring water column reached height of 170 meters. Drawing by Alexander Baumgartner from an 1889 book called Nordische Fahrten: Island und die Faröer. The reason for the low activity of Geysir is that the geothermal water that flows into the hot spring from underground leaves mineral in the channels providing the water. Silica from the water clogges the channels but sometimes, usually after earthquakes, the silica breaks up and the channel is cleared. Strokkur, the other geyser in the area, erupts every few minutes or so. It’s eruptions rises to height of 30 meters and is quite spectacular to see. 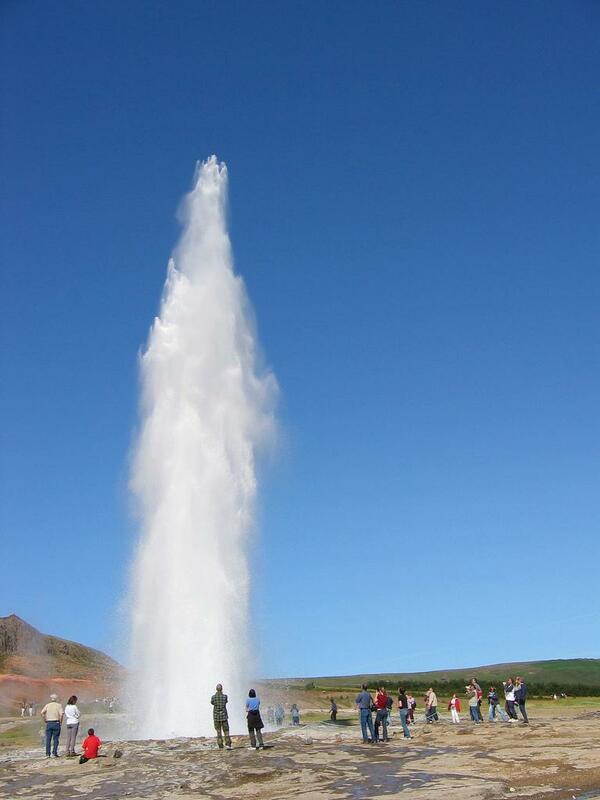 When you visit the Geyser area, you’ll probably be watching the eruptions of Strokkur. Strokkur and Geysir are located in Haukadalur, Iceland. You can see the direction from Reykjavik on the map below.